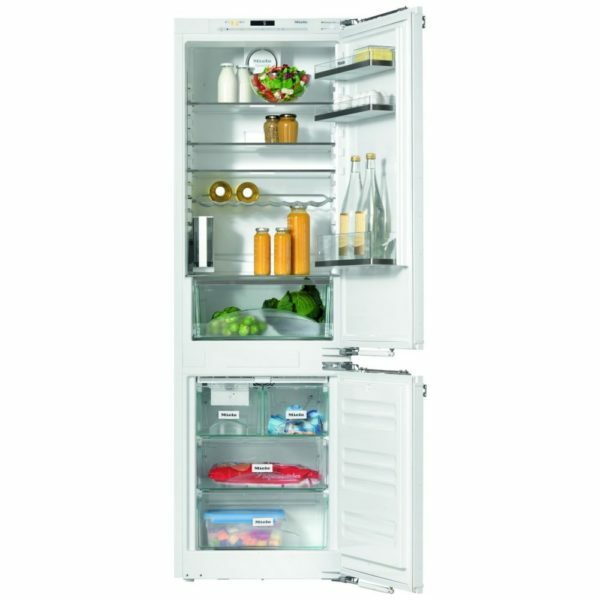 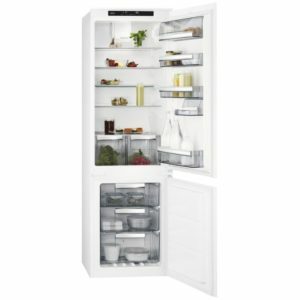 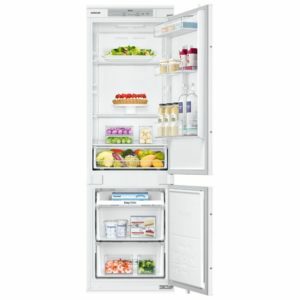 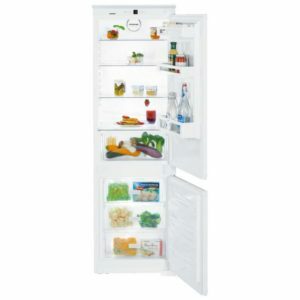 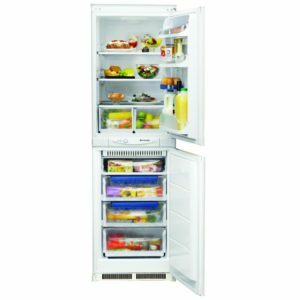 Offering great storage for all your fresh and frozen food, this 256 litre capacity integrated fridge freezer from Miele is a great addition to a modern kitchen. 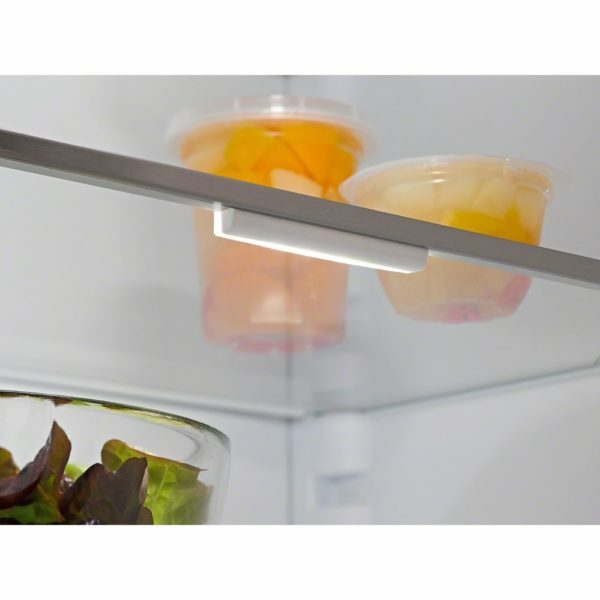 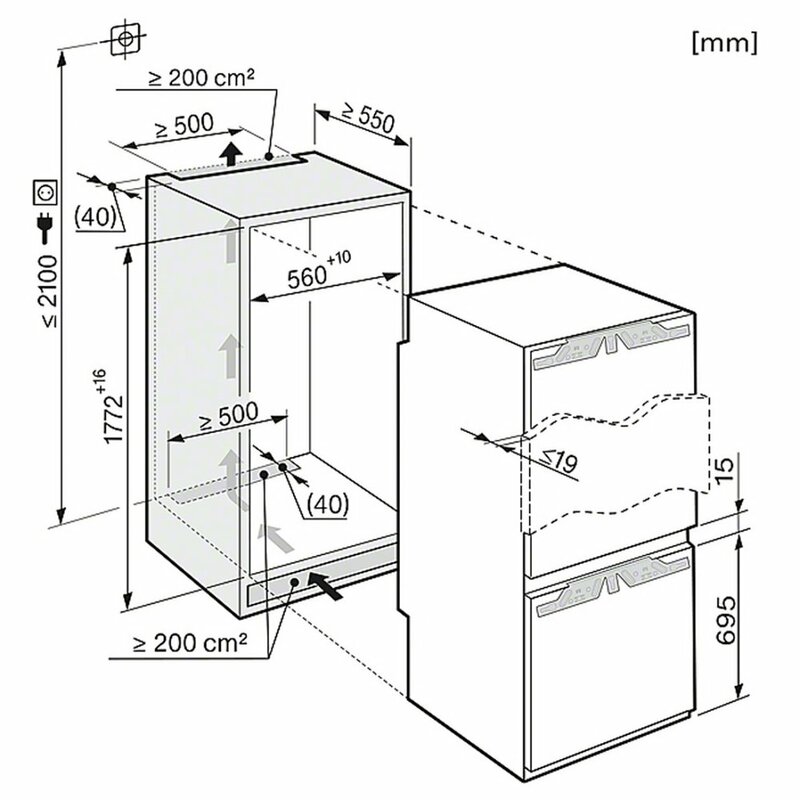 Designed to be installed behind furniture doors in a tall housing unit, this model fits seamlessly into a kitchen, with no buttons or protrusions on display. 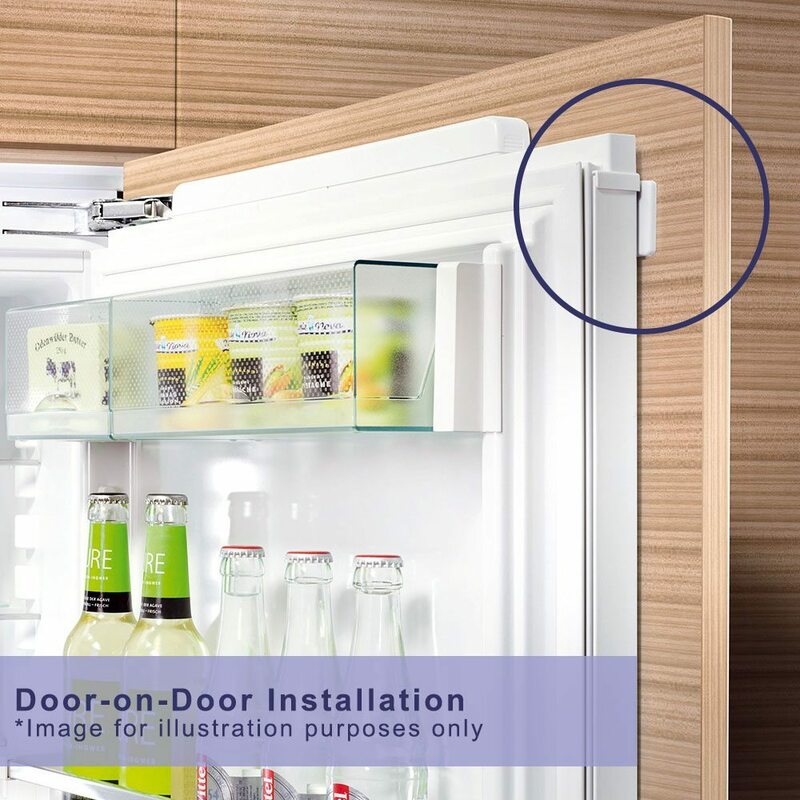 There are helpful flexible options for fitting in all your food, with half and full width storage drawers, adjustable shelving and even a bottle rack. 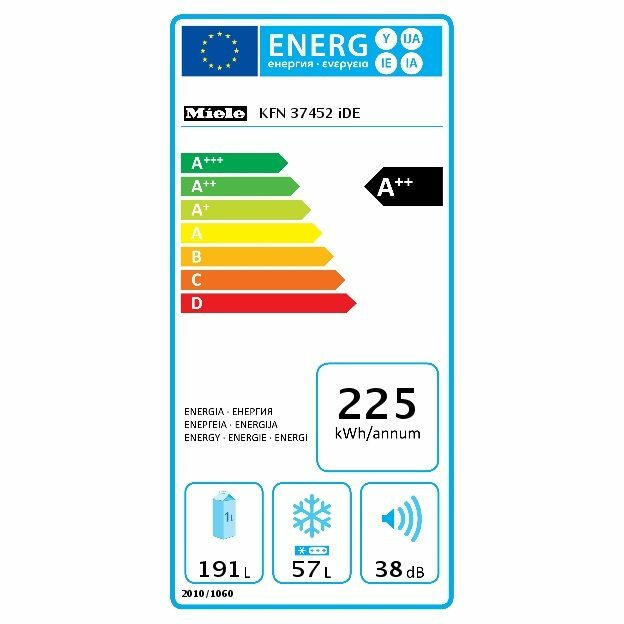 With a frost free interior you will be able to keep maintenance to a minimum, while the A++ energy rating ensures running costs will be low as well. 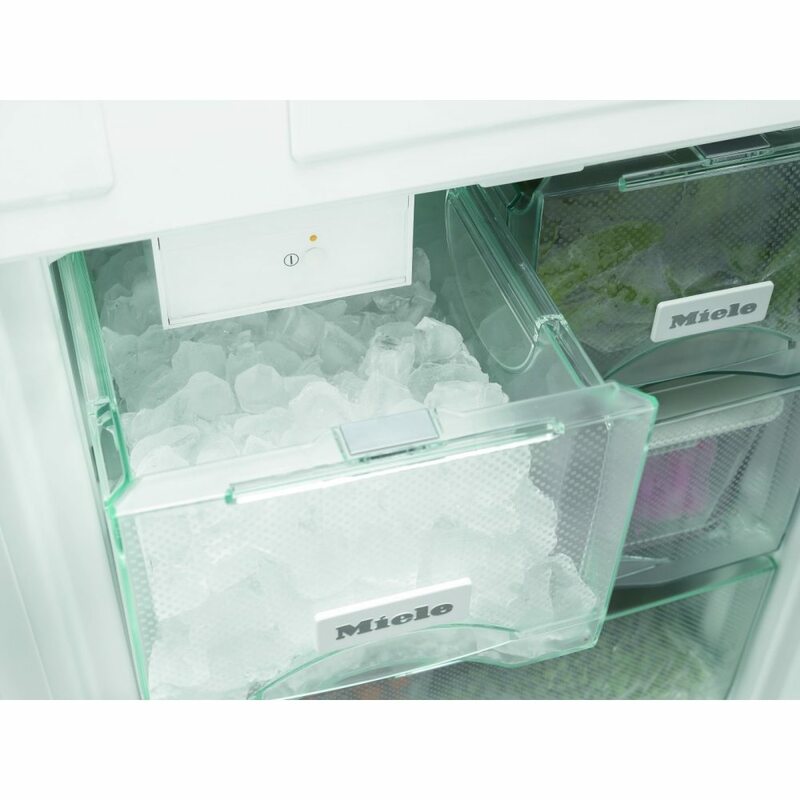 As an added bonus there’s a handy ice maker – just fill the water tank and you will be provided with plenty of ice, perfect for those hot summer days.